Mainstream international relations continues to assume that the world is governed by calculable risk based on estimates of power, despite repeatedly being surprised by unexpected change. This ground breaking work departs from existing definitions of power that focus on the actors' evolving ability to exercise control in situations of calculable risk. It introduces the concept of 'protean power', which focuses on the actors' agility as they adapt to situations of uncertainty. Protean Power uses twelve real world case studies to examine how the dynamics of protean and control power can be tracked in the relations among different state and non-state actors, operating in diverse sites, stretching from local to global, in both times of relative normalcy and moments of crisis. 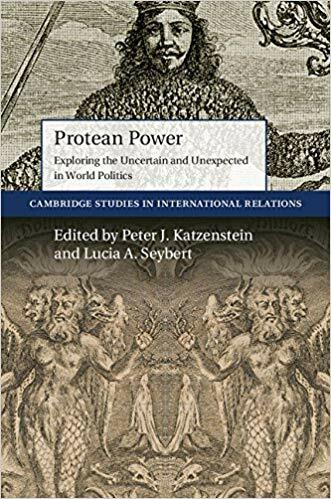 Katzenstein and Seybert argue for a new approach to international relations, where the inclusion of protean power in our analytical models helps in accounting for unforeseen changes in world politics.